Under the shade of a sweeping talie tree, the sounds of a jazz band and sights of punters enjoying their sangrias may make you feel like you have been transported to a quaint café in a middle class suburb of New Zealand. But here in Samoa, it’s called just another Tuesday evening at Maua café. As one of their most popular days, Maua café started their Tapas and Sangrias Tuesdays last year in October and it has been growing since. Owner Denise Heaven from New Zealand said the café hasn’t been open long but enticing patrons with antipasto boards and providing sangrias with a B.Y.O. wine policy so customers could then add to their punch - was a concept that the locals couldn’t resist. “Tuesday nights we get a whole mix of people which is great,” Ms. Heaven said. From the outside, Maua Café looks like an ordinary house with a delightful open patio but take a step inside and you’ll be taken by surprise by the retro vintage outfitting of the café that will immediately charm you. “I do get a lot of comments that the way I’ve put the café together is not reflective enough out on the street,” said Ms. Heaven. To add to the kiwi-like ambience of the café, its main menu is reminiscent of good old New Zealand café food with a focus on providing espresso coffees, gourmet sandwiches, scones, cakes, afghans and melting moments to the absolute enjoyment of the expats in the area. Ms. 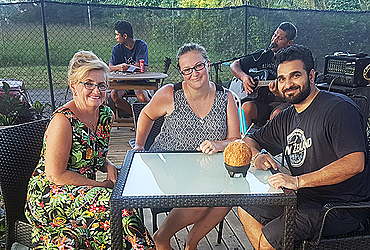 Heaven has been in Samoa since 2016 and since last year, took over the ownership and operating of the café as well as the air bnb accommodation which is an extension to the café area. According to Ms. Heaven the transition of moving from the Waikato area has not been hard. “I came here for a change of lifestyle, warm temperatures. We came here in September 2016 and I just really loved and enjoyed everything,” she said. Eventually, Ms. Heaven did think of one difficulty and that was deciding what to do with her dog when she decided to move to Samoa permanently. 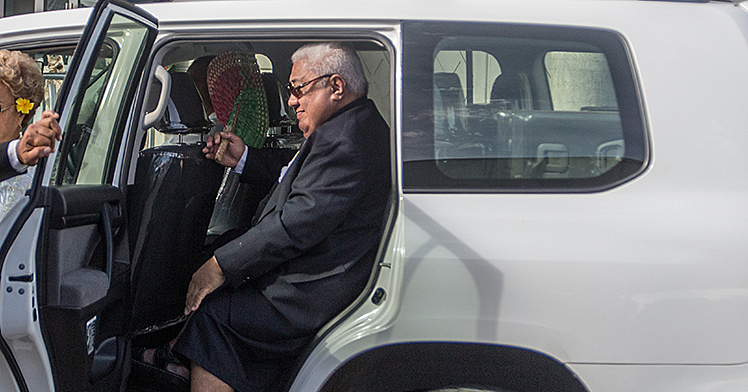 However, she eventually remedied that when she brought her Pomeranian dog, Poppy over to Samoa. Poppy has adjusted to Samoa like a fish to water and has been a healthier canine since discovering the miracles of the ocean seawater and coconut oil.